You can use one of these games to fill space or center an entire lesson around it. These games are great ways for ESL learners to practice their skills. Each game explanation indicates how much time you will need and how you can make the game more interesting for advanced learners. Hangman is popular among students of all ages. Its rules are easy: One student comes to the blackboard and draws horizontal lines, one for each letter that his word has. Then the other students have to guess which letters are used in the word. If a letter is used, the student at the blackboard writes it down; if not, he draws the hill, gallows and hangman as indicated in the picture (one line for each wrong letter). If he can finish his hangman before the other students have guessed his word, he has won. The other students can guess the whole word as soon as they think they know it. For each wrong guess, however, another line is drawn. The student who guesses the right word is the next one to come to the blackboard and think of the next word. 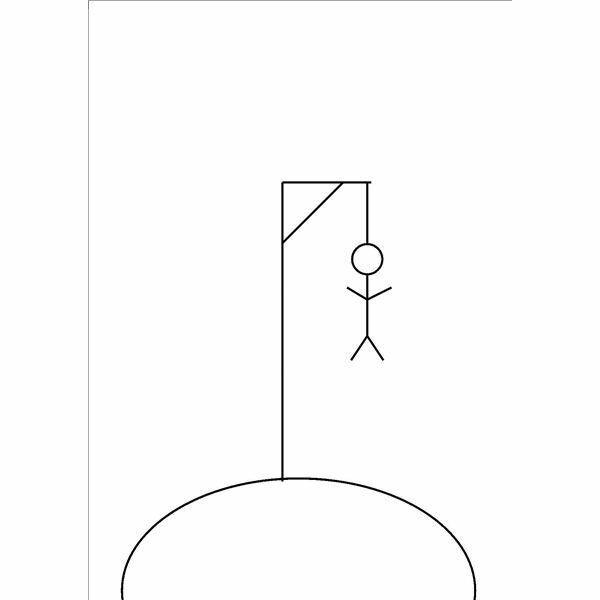 Hangman can be played in short breaks as well as to fill a whole lesson. To make it easier to guess, you can name categories for the words (e.g. fruits, verbs). This game trains your students’ spelling abilities as they have to watch the right spelling. Taboo is a game which needs preparation. You have to choose words which the students have to explain and write them on separate cards. For more experienced students, you can include up to five words on each card which are forbidden to use for the explanation. Taboo should be played in two groups. One student comes to the front of the classroom and draws a card. He has one minute to explain that word to his group members. If they guess right, he can draw another word and explain that as well, until his minute is over. The group gets as many points as the number of words they have guessed right. Then it is the other group’s turn. You should plan a whole lesson for playing taboo with your class so that every student gets his turn to explain. Taboo trains the ability to speak fluently and to explain and paraphrase certain words. The rules of word chain are easy. One person says a word and the next person has to say a word which begins with the last letter of the previous word. For basic English learners, word chain can be played without a category, while advanced learners might want to add some difficulty by choosing a category for the words, for example, verbs, nationalities or plants. This game can be played in short breaks in between other exercises. You can spend only some minutes or even whole lessons with it. It is a fun way to expand and strengthen the students’ vocabulary. Whenever you play one of those basic English language games with your students, it will be a situation of mutual benefits. Your students will train their language skills while having fun which gives you the opportunity to reward your students with some fun without neglecting your teaching job. You can use the games for short breaks in between phases of concentrated work, for a relaxed end-of-year lesson or whenever you think your students have earned some fun as reward.